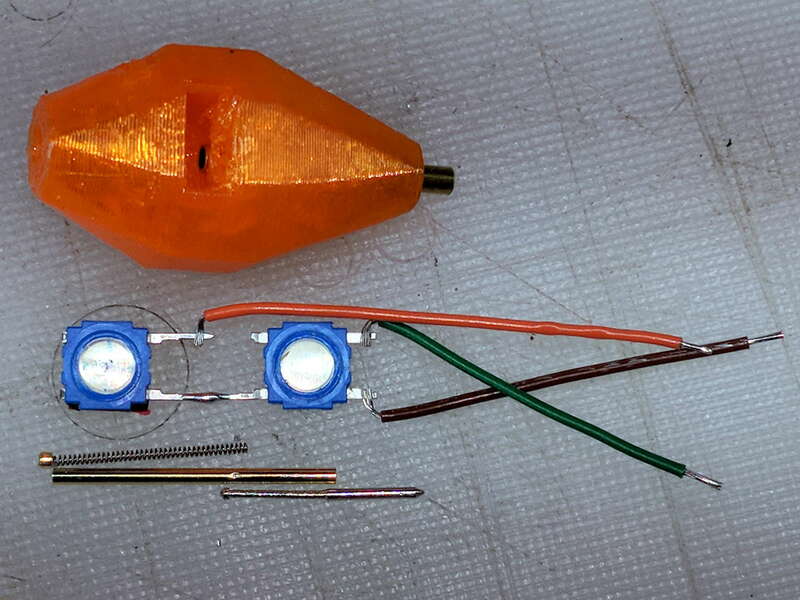 Unfortunately, it didn’t work nearly as well as I expected, because the switch membrane requires slightly less than the 180 g of pressure that pushes the P100 pogo pin entirely into its housing, leaving no overtravel worth mentioning. The membrane switch mechanism itself has much less than 1 mm of overtravel after the dome snaps, which left me with an uncomfortable feeling of impending doom. I managed to figure that out before completely assembling the thing, saving me a bit of time. I dismantled the pogo pin to see whether I could substitute a more forceful spring how it worked. 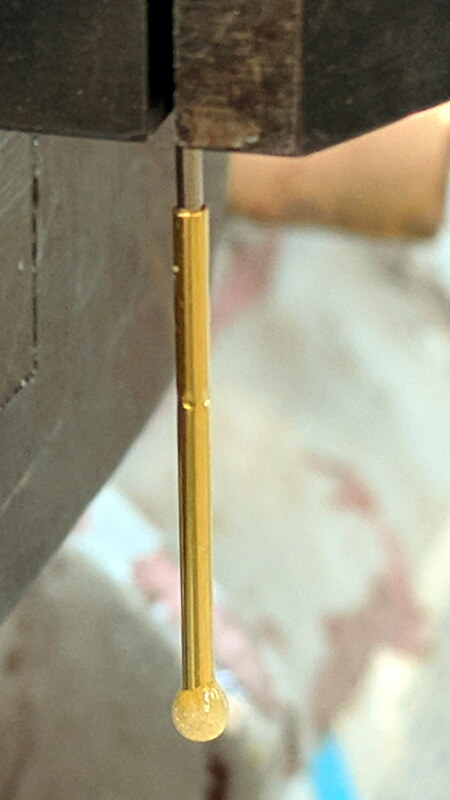 As expected, a teeny spring drives the probe up against a trio of indentations in the brass housing. I didn’t expect the probe to have such an intricate shape, but it’s obvious in retrospect. The OpenSCAD code for the housing required minimal tweakage from the larger version, so it’s not worth immortalizing.